Most top executives do little more than voice support for Lean. It is an example of talking big, yet doing mostly small things. If that is the reality in most organizations, then maybe senior managers can do one more small thing that could help Lean move forward faster: Get to know your internal continuous improvement leaders. Most executives do not understand what continuous improvement people do, the challenges they face, their successes, and the failures they have experienced. You can be sure that CI people, the people on the gemba, would like to talk about it if given the chance. So give them the chance. I recommend that each member of the executive team meet one-on-one with a CI person over lunch or dinner once a month. Get to know CI people personally and what they do. Develop a personal relationship and better understand the value of what CI people do and the knowledge that they have. And provide your CI people with some help to get their work moving more smoothly. If you are willing to voice support for Lean, then the least you can do is learn about Lean through the stories of the CI people on the front lines. Sure, you’ll have to endure some pressure by CI people to become personally engaged in Lean. They’ll want you to participate in kaizen and apply Lean principles and practices to the work you do. They are not pestering you. They are trying to help fulfill the vision you have laid out for Lean success. With your engagement, it will be FULL speed ahead. Without it, you will trudge along at SLOW speed. Which message do you want to telegraph to the organization? I can’t help you with the first regret, other than to say you should not be doing things that lead to such a regret. But, I can help you with the second regret. 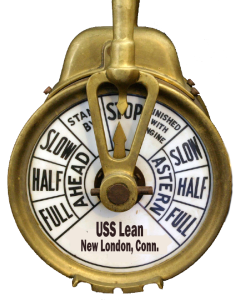 The more that you put into Lean, you more you will get out of it – both professionally and organizationally. Start by getting to know your CI people through monthly lunch meetings.